Below are all the offers MobiKwik is running this month. Invite your friends to install & signup on the MobiKwikApp! Once your friend installs the app and signs up to the App, your friend & you get the Rs.10 each. You can earn up to Rs.500 by inviting a maximum of 50 friends. Refer & Earn is currently valid only on the latest Android app. To participate, you must invite people who are not existing users of the MobiKwik App (‘Referred User’) to download the MobiKwik App. Maximum MobiKwik cashback is Rs.100. All cashbacks to be processed within 7 days of bus ride completion. Mobikwik Bus booking option only available on latest Android App through *Bookings* section on the app homescreen. Get Flat Rs.20 cashback on Recharge, Bill Pay, DTH or utility payments on MobiKwik App. Coupon Redemption and Payment should be done on MobiKwik’s Android, iOS or windows App(version 10 & above). Users who have redeemed the code FLAT50 or CAP10 are not eligible for this offer. Get 10% cashback on Recharge, Bill Pay, DTH or utility payments on MobiKwik App. Users who have redeemed the code SUNNY or FLAT50 are not eligible for this offer. Get Flat Rs.50 cashback on Recharge or Bill Pay payments on MobiKwik App. Not applicable for users who have redeemed the code SUNNY or CAP10. 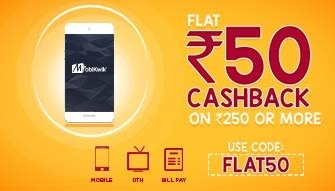 Get Flat Rs.50 cashback on DTH recharge of Rs.400 & above done on MobiKwik App. Offer will be valid only for Select MobiKwik users on all DTH operators EXCEPT AIRTEL DTH. User can redeem only one offer from MAYTV50 or MAYTV125. MobiKwik reserve the right to end any or all offers at it’s sole discretion without any prior notice. Get Flat Rs.125 cashback on DTH recharge of Rs.1000 & above done on MobiKwik App. Flat Rs.85 cashback on Electricity Bill Payments on MobiKwik App. The offer is valid only on the following operators: MP Paschim Vidyut Vitaran, Chhattisgarh Electricity Board, Jaipur Vidyut Vitran Nigam Ltd, Gujarat Gas Company Limited, BSES Rajdhani, Tata Power, MSEB, Bangalore Electricity Supply, BSES Yamuna, BEST, Noida Power Company Limited, Dakshin Gujarat Vij Company, Uttar Gujarat Vij Company, Madhya Gujarat Vij Company, Paschim Gujarat Vij Company. The Offer is applicable only for Select MobiKwik users. Use code MAYPREPAID to get Flat Rs.10 cashback on Prepaid Recharges on MobiKwik App. Coupon Redemption and Payment should be done on MobiKwik’s Android,iOS & Windows(version 10 & above) App. Users who redeemed the code CAP10, SUNNY or FLAT50 are not eligible for this offer. Use code PAYGAS to get flat Rs.50 cashback on Gas utility payments on MobiKwik App. The Offer is applicable only for Select MobiKwik users on GSPC GAS, SABARMATI GAS, GUJARAT GAS COMPANY LIMITED, MAHANAGAR GAS LIMITED. Users who redeemed the code ACDC or INSURANCE are not eligible for this offer. 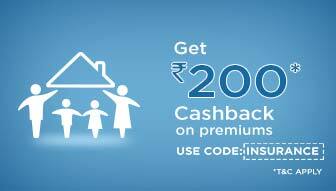 Use code INSURANCE to get flat Rs.200 cashback when you pay your Insurance premium through MobiKwik App. Users who redeemed the code ACDC or PAYGAS are not eligible for this offer. Offer: 5% discount + 5% cashback on Grofers! In case of partial refunds/cancellations, refund amount will be adjusted with the cashback recieved on initial payment. Thursday code: VODATHU on VODAFONE. Friday code: AIRCELFRI on AIRCEL. Flat Rs.35 cashback on recharge & bill pay on the mentioned operator of the day as stated above on MobiKwik App. 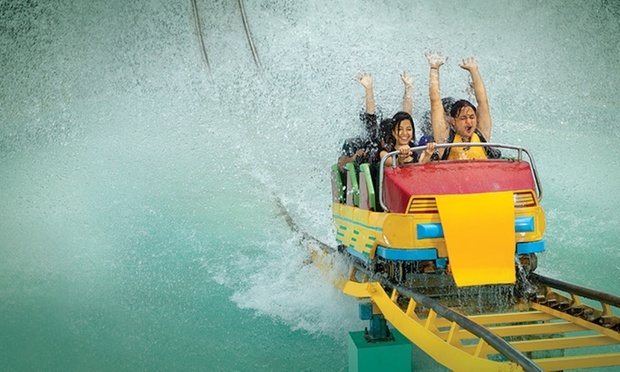 Users who have redeemed the code SUMMER are not eligible for this offer. Use Code SUMMER & get Flat Rs.20 cashback on Recharge, Bill Pay, DTH or utility payments on MobiKwik App. Users who have redeemed the code KWIK10 are not eligible for this offer. The offer is valid only on the following operators:MP Paschim Vidyut Vitaran, Chhattisgarh Electricity Board, Jaipur Vidyut Vitran Nigam Ltd, Gujarat Gas Company Limited, BSES Rajdhani, Tata Power, MSEB, Bangalore Electricity Supply, BSES Yamuna, BEST, Noida Power Company Limited, Dakshin Gujarat Vij Company, Uttar Gujarat Vij Company, Madhya Gujarat Vij Company, Paschim Gujarat Vij Company. Coupon Redemption and Payment should be done on MobiKwik’s Android or iOS App. Offer can be redeemed only ONCE per user during the offer period. Recharge, Bill pay, DTH or Utility Transaction and first 10,000 users everyday stand a chance to win 25% Cashback for the same. Use any one of the codes: ENG or WI basis you guess who will win England vs West Indies, T20 World Cup Final Match. The minimum transaction amount should be Rs.50. ENG or WI are Apply only Codes. The user will receive *Coupon Applied Successfully* message which only means that the user is successfully registered for the campaign. User can redeem ONLY ONE of the codes from ENG or WI. The code redemption & payment should be done on MobiKwik’s Android, iOS App or Website. The offer is ONLY applicable from 2nd April 2016, 10:00 AM till 3rd April 2016, 7:30 PM. The code is applicable for Select MobiKwik Users on ALL operators. The cashback will be processed within 72 hours of the match result. Recharge, Bill pay, DTH or Utility Transaction and first 10,000 users stand a chance to win 25% Cashback for the same. Use any one of the codes: IND or WI basis you guess who will win India vs West Indies Semi Final Match. IND or WI are Apply only Codes. The user will receive *Coupon Applied Successfully* message which only means that the user is successfully registered for the campaign. The offer is ONLY applicable on 31st March 2016 from 10:00 AM till 7:30 PM. Use Code KWIKFEST on your Recharge, Bill pay, DTH or utility Transactions and stand a chance to win. Bumper Winner could be the one who will do Highest Value of transactions or Maximum count of transactions or maximum types (like DTH, Prepaid, Postpaid, Electricity, Landline etc) of transactions or one who will participates daily in the campaign through the campaign period. Use code: GET20 & get 20% cashback on Recharge, Bill Pay, DTH or utility payments on MobiKwik App. Users who have redeemed the code SUPERWOMAN are not eligible for this offer. Offer will be valid only for Select MobiKwik users and applicable on all operators EXCEPT AIRTEL. Payment should be done on MobiKwik’s Android or iOS App. Get 13% Cashback on Recharge, bill pay, DTH or Utility payments done on MobiKwik App. Sign Up platform, Coupon Redemption and Payment should be done on MobiKwik’s Android or iOS App. Try your luck & check if you are one of the selected few for the offer! Try Now!